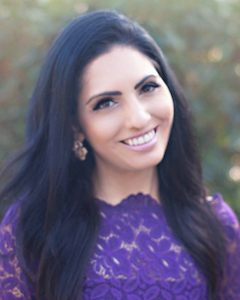 Dr. Smita Malhotra, pediatrician and advisor for Mommy’s Bliss, has been practicing medicine as a board-certified pediatrician for ten years, but was only when she started her journey through infertility and becoming a mother, seven years ago, that she discovered the true art of medicine. She began to see that our bodies can make us sick, but so can our minds. In 2014, Dr. Smita started a new practice with her husband where they help heal the whole child and family by combining traditional medicine with alternative therapies such as mindfulness, meditation, acupuncture and yoga. Dr. Smita became an advisor for Mommy’s Bliss when she discovered how much she used and recommended their products for children. She trusts the natural ingredients that they use and appreciates most that it’s a company founded by mothers, for mothers and families.